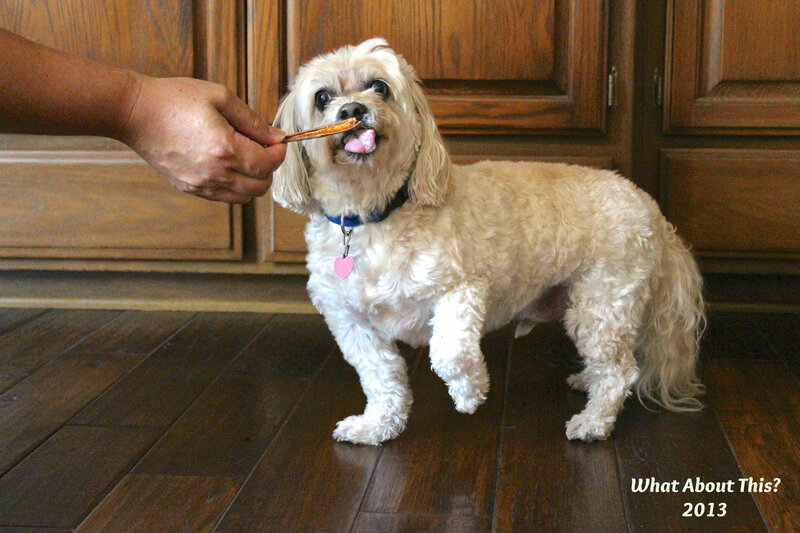 DIY dog treats | What about this? Cardboard letters, strung across the fireplace mantle, spelled out a colorful “Happy Birthday!” Green, blue, and purple paw prints cheerfully decorated party hats and balloons. Guests, human and canine, filled the room and doted on the birthday boy who had dried mud on his nose. Buster, my son’s Black Lab puppy, happily celebrated his first birthday last weekend by eating special doggy treats and playing with all his new toys. Wanting to make treats for all of Buster’s canine guests, I found two recipes online and asked my daughter to help me make them. Using only ingredients safe for human consumption, I figured these healthy dog treats had to be far better than the usual mass-produced ones. The ultimate test, though, was to see if the birthday boy and his canine guests liked these treats. They didn’t just like them, they devoured them! 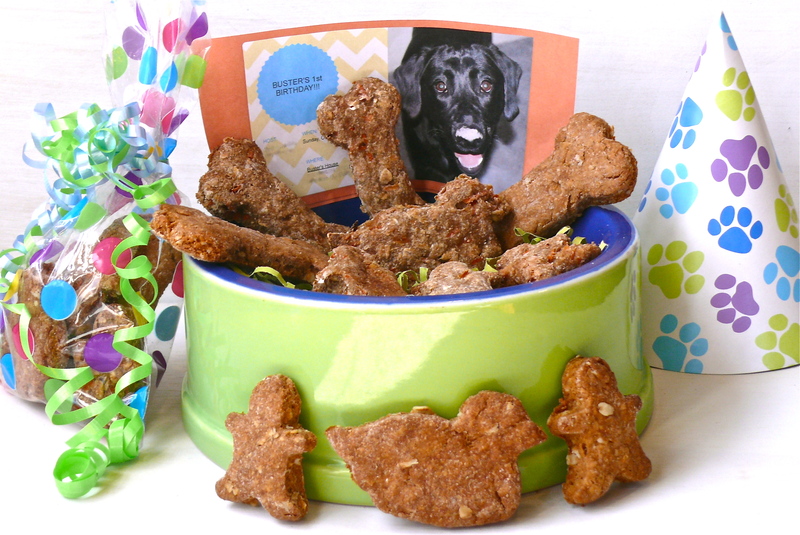 Reward your pet’s unconditional love by making him healthy homemade treats using these easy recipes adapted from Dog Treat Recipes. 1. Preheat your oven to 375 degrees F and lightly grease or cover a baking sheet with parchment paper. 2. In a medium bowl, add flour, baking powder, and oatmeal. Thoroughly mix and then add peanut butter and milk. Stir it all together until a dough forms. 3. Turn dough out onto a lightly floured surface and knead the dough. 4. Roll out dough to 1/4-inch thick. Use cookie cutters or a pizza cutter to cut the dough into desired sizes and shapes. 5. Bake treats on prepared baking sheet for about 20 minutes or until golden brown. 6. Cool. Store in airtight container. Note: Depending on desired thickness, these could be rolled out thinner than specified. They puff up during baking due to the baking powder. 1. 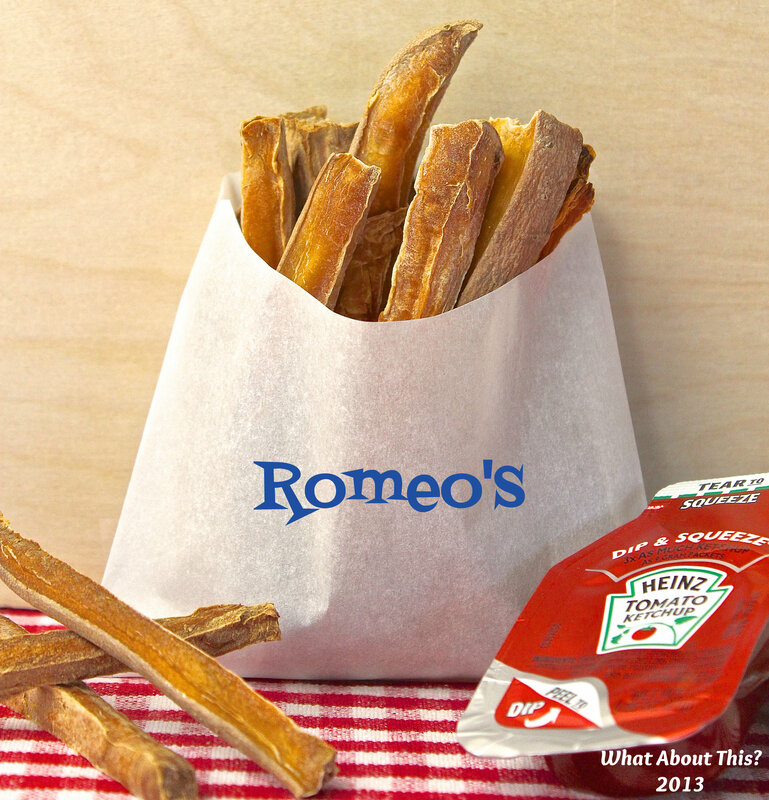 Preheat oven to 350 degrees F and lightly spray or cover a baking sheet with parchment paper. 2. Whether you use store-bought shredded carrots or you grate your own, give them a coarse chop first. This will make it easier to cut the dough with the cookie cutters. If you grate your own carrots, wash them first and grate them with the peel on for added nutrition. 3. In a medium bowl, mash up banana and mix in shredded carrots. Add water and applesauce. Stir to combine. Add flour and oats. Stir until all ingredients are thoroughly combined. 4. Using you hands, knead the mixture until a dough forms. Dump the dough onto a lightly floured surface. Roll out dough until it is a 1/2-inch thick. Using cookie cutters, cut dough into treats and place on prepared baking sheet. 5. Bake for 25 minutes. For crunchier treats, turn off the oven at the end of the baking time and let cool overnight before storing in an airtight container. 6. Makes about 24 low fat healthy dog treats. They last about 3 weeks if stored in the refrigerator and up to 6 months in the freezer. Note: You may have to add additional flour or liquid to get the right consistency of dough.